I've Had a Car Crash - What Do I Do? Auto accident injuries can be scary. You’re hurt, and don’t know how bad the car is damaged. Maybe it’s totaled but you don’t know yet, and now you’ve got the insurance companies calling you to quickly settle your case. At SOHMA we help you navigate the process after getting into an auto accident, but most importantly we help you heal efficiently from the injuries you sustained from the accident. We work with your personal injury attorney to help you get maximum value and healing out of your accident. If you do not have a personal injury attorney, we have strong relationships with several attorneys we can recommend. SOHMA works on liens which means you can get the medical care you need and deserve, without paying anything upfront. We don’t get paid until your case either settles or closes. Can SOHMA Help With My Injuries? Our goal for our patients who are injured in an auto accident, is for them to feel even better than they did before the accident. This is the case 90% of the time. Of course there are more complicated cases with severe injuries where 100% recovery may not be possible. With severe cases we coordinate care with other specialists needed to get you the best recovery possible. What to Expect After an Auto Accident at SOHMA? We will start with a thorough medical history, exam, and take digital x-rays on site. If needed, we will request an MRI. Treatment often starts right away because the sooner we can get your inflammation down, the sooner your pain will subside, your range of motion will be restored, and you can have peace of mind. In more severe cases we refer out for pain management, or an orthopedic surgeon consultation. 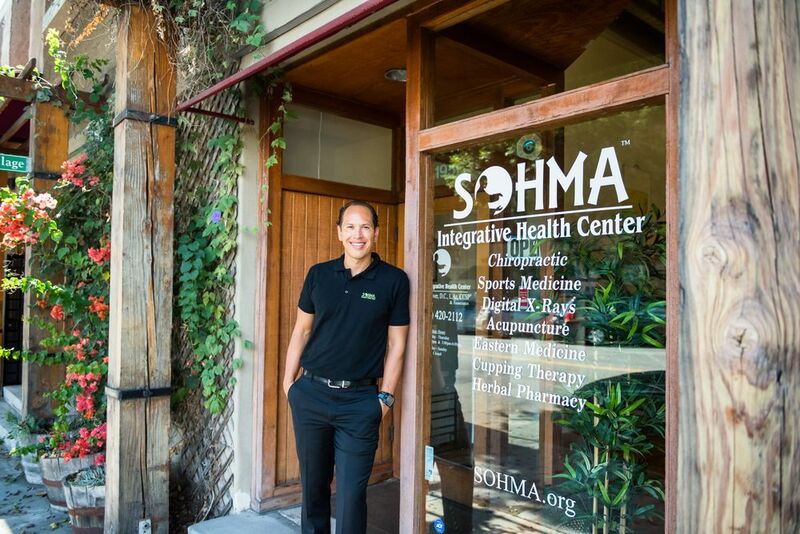 At SOHMA, we combine the best of Eastern and Western medicine without the use of drugs or surgery. Being equipped with both ancient wisdom and modern technology, we're able to handle most cases in-house. Our services include chiropractic medicine, acupuncture, massage, cupping, physiotherapy, digital x-rays, herbal pharmacy, and much more. Call us at (562) 420-2112 or email us to get your complimentary case evaluation and if needed, our personal injury attorney’s referral list.